I am enjoying learning to observe with my little Vixen A70lf since I started in the winter of 2017.
welcome to CN. There is a lot to see with your Vixen A70 and you will learn a lot .I think everyone who observes the night sky with a telescope , makes something right . what kind of scope do you use ? On your picture it looks like a spotting scope . I enjoy observing with small scopes . I've owned a number of scopes 80 mm and under including this 60 mm F/7 Parks-Carton. But i settled on 80 mm as being just right.. 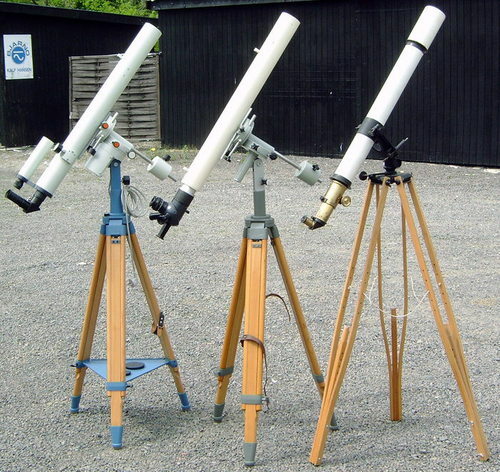 Currently I have four , a Celestron 80 mm F/5 fitted with a 2 inch William Optics focuser, an AT-80LE (F/6, FPL-53), an WO Megrez II FD (F/7,FPL53) and Meade 310, the 80 mm F/11 manufactured by Mizar. .
You're correct. My 20x80 binos can find every galaxy in the Big Dipper. I don't think I'll ever sell my 70mm pronto. Over the the decades I've bought too many eyepieces. And now my pronto case is full of eyepieces ( 20 pl, 16/12/4.8 nglr, 7 delite, and 4 radian), a npb filter, and sky tour computer. I use a manfrotto tripod and telepod head with encoders and side caddies. It's a complete, quick set-up system ( my alternative to a 3.5in questar). It always accompanies me and my 11 inch dob whenever I travel 2 hrs to a dark site. I use the 70mm at home as much as my 100 mm. Both of them see more use at home than my dob. Unless it is a new moon or close to a new moon. I've been playing around with the refractors to see how much I can eek out of them. I need to do more side by side comparisons. And learn to temper my expectations, which were tempered until I bought the dob and started to visit dark sites. Every time I look at the planets with the 70 or 100 mm, I wish I could see a little more detail and have a two speed focuser. I've never looked through a longer fl tak or vixen or tec or ap or stellarvue or williams: maybe one day. That said, the 70mm is a one time setup inside and I walk out the door and start viewing. And at 3 am when I'm tired, walking the whole set up into the house is a pure joy as opposed to putting away the two 5 lb batteries and carrying the 45 lb dob ota/cradle in the house and down the stairs to basement. I was out this morning at dawn with the pronto. I'd be lying if I said I saw cassini's division at 120x and I could only see one moon (although saturn was very low in the bright sky over Detroit and I was viewing over the neighbor's house). 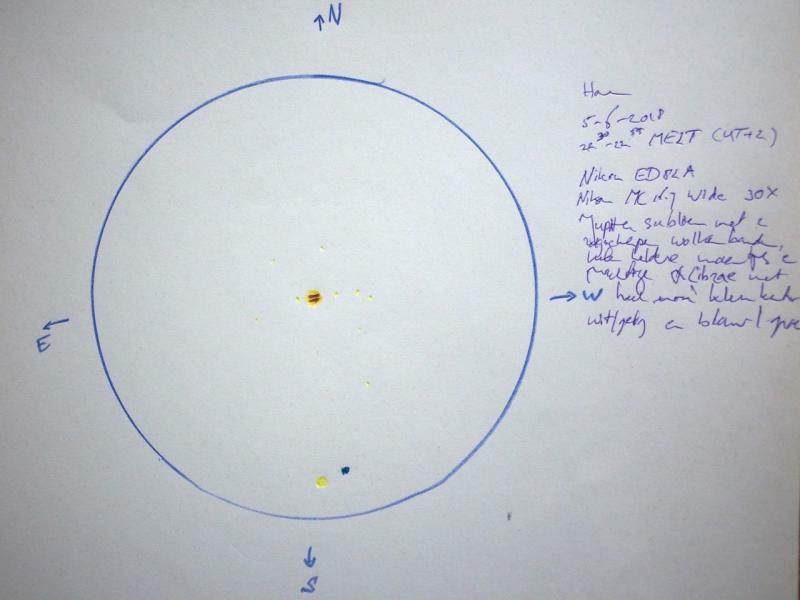 I saw a very faint and very small dark streak on an otherwise huge and extremely bright red/orange mars ( it was like an orange venus) Next clear night, I'm taking the 70mm out and will view epsilon lyrae: I was able to split the double double at 180x with the 100mm ( at 108x the one double would split, then just merge, then split., etc). I'll see what I can do with the 70mm. For me, the 70 mm is much more fun at a darker site and more worry-free if I'm letting other's view the stars for the first time. Of course, all my telescopes and binoculars are more fun at a darker site. I just need to temper my viewing expectations and adjust the object selection when using each scope. I should probably create a short list of object separation and compare it to theoretical limit of each refractor. Then see if I can split the doubles at my scopes limit and determine what I should be able to see on Jupiter, Saturn and Mars. A perfect project for the many cloudynights in Michigan. The small scope is a keeper because it fits a nice niche. Edited by TomK1, 21 June 2018 - 06:16 PM. There are galaxies in the "big dipper" that are beyond the reach of a 25 inch.. .
One of my favorite small scopes is the SV-50 Li'l Rascal . It's a 50 mm F/4 achromat but quite a good one and with the helical focuser, sharp focus is possible. The built-in RACI diagonal limits the field of to slightly less than 7 degrees but it's a pretty awesome little RFT with eyepieces like the 16 mm T5 and a 24 mm SWA. With O-lll, UHC and H-Beta filters its quite special for viewing large nebulae. The mount is the drawback . Just too darn heavy and bulky. .
Another engaging small , wide field scope, nearly 10 degrees with the 21 mm Ethos . Well the big ones. m81, 82, 101, 51, 109, 106 etc. There's galaxies in the Big Dipper? Thanks for the welcome. I think I've learned a lot in my first season and I can tell I'll learn a lot more. 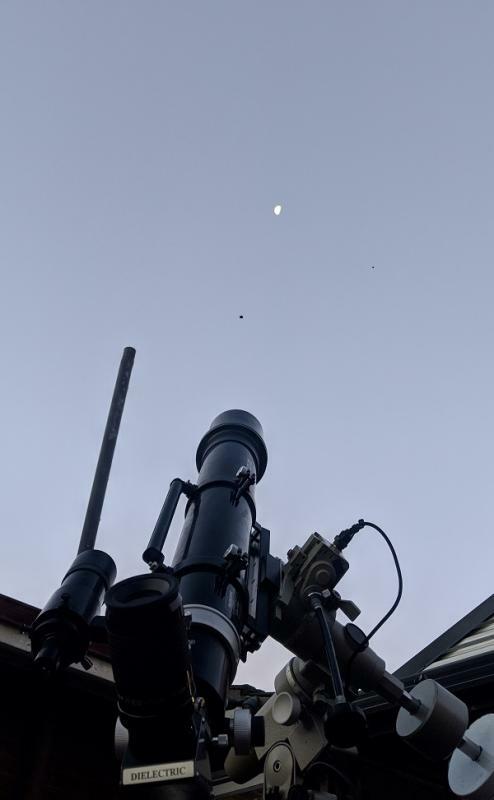 I can see that there is a lot of experience at the eyepiece here on Cloudy NIghts. My small refractor reminds me of the Yamaha RD400C I had when I was a younger man. Small but surprising performance. But, besides that, learning to get the most out of a small telescope or a small bike is excellent training... You learn how to get the most out of what you have.. If that time comes for a bigger motor or a bigger scope, you have the skills to make the most of it. The ability to appreciate and enjoy a 70mm scope, that bodes well for your future as an amateur astronomer. The scope is indeed a spotting scope: a Nikon ED82 A on Gitzo Industrial Performance G 224 tripod and Manfrotto HDV501 fluid head, all NLA new. I use the ED82 A with Nikon Wide MC (30x) and Nikon MC II zoom (25-75x) oculars designed for usage with this scope, both of which are still, scarcely, available new. Weight of scope with eyepiece is around 1.8 kg at a length of ca. 38cm with dust caps on and packs a lot of power in a small package. Perhaps bit of a rare and unusual scope here on CN. This set-up gives superfine images, correctly oriented, and is working well day and night. It's native 25-75x magnification range with it's Nikon MC eyepieces give very bright, saturated, sharp and contrasty views that are very comfortable to look at. Doesn't stress the optics at all. A very fine scope your new TV60 , Congratulations. I am hooked by small refractors. Yesterday I made a short observation of the moon. I had to go up early in the morning for work. But for a short view on the moon the litte FOA60 is great. I used my williams bino with 20mm williams eyepices and enjoyed the half hour viewing the moon. It takes no time to built it up and the fun is great. I sleeped very well after this observation. Thats why I love little scopes so much. Same moon , 21st june , summer is coming but different hemisphere , small scopes but are all the same , awesome telescopes ! . 1) Easily transportable, even in carry-on luggage (I took a 70mm to Bolivia). 2) Easy to mount. I use a Universal Astronomics DwarfStar and an Orion heavy-duty photo tripod. This is rock-solid mounting for a small refractor. 3) Moderate cost. Even the TV and the TAK are not too bad. My AT60mmED was $369, which I consider a fantastic bargain. 4) You can see an incredible amount. Even a 70mm gathers 100 times more light than your fully-dilated pupil. From a dark-sky site you can see things that will knock your socks off. I plan to visit the Davis Mountains in west Texas in August. 5) They are just indescribably cute. Well, the new telescope curse is not letting up here. It lasted 3 weeks after I bought the GTX a few months ago. Still no first light for the TV 76. 6) Fast and benign cool-down. Delivers great performance almost from the word "go". 7) Less challenging with respects to thermal management, tube currents and dewing than other telescope designs. 8) Less sensitive to seeing issues than larger scopes. 9) Occupies very little storage space compared with big light buckets, so we have the opportunity to hoard more scopes (I'm guilty too...). 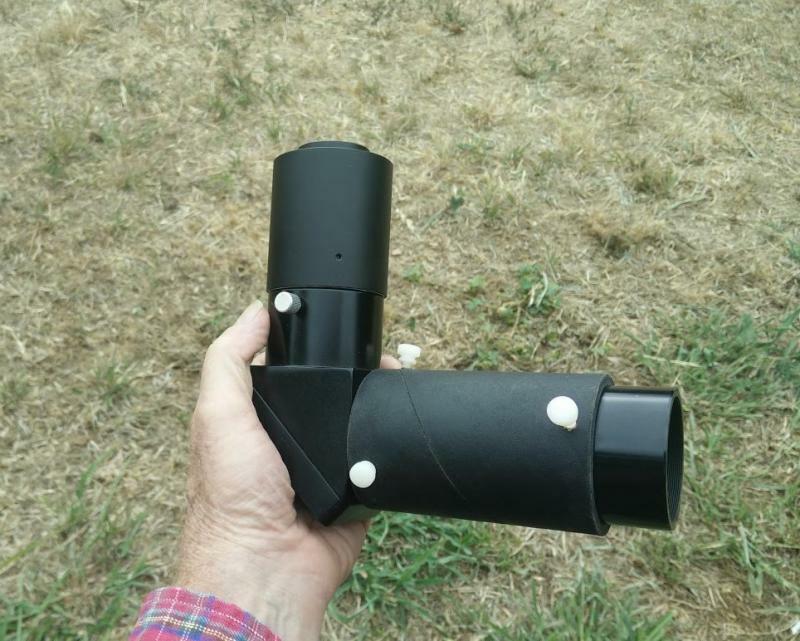 10) Rarely ever requires collimation... very easy to use and own for beginners to the hobby. My sentiments exactly. My small refractor is an Orion 90mm ShortTube I picked up from another CNer. Very nice deep-sky views in a portable scope, which I have on a very light EQ-1 mount and wood tripod. And the views of Jupiter with a Semi Apo filter the other night were pretty good, too! 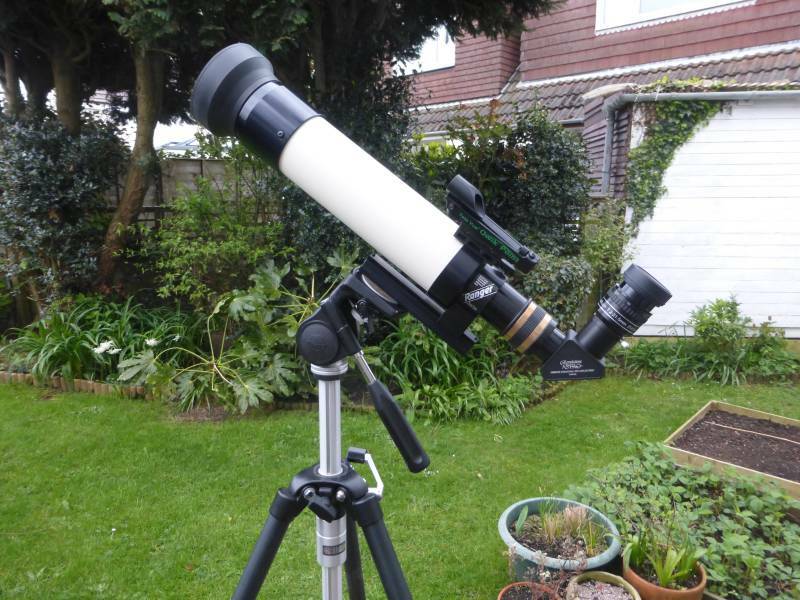 I had both of my 60mm travel scopes out last night, the AT60ED and the Orion StarBlast 62mm (I am sure that I do not have to explain to readers of this forum why I have more small travel scopes than I strictly need). Houston-area light pollution--and S.E. Texas heat, humidity, and mosquitoes--discourage extensive observing time, but I did check out both scopes on the Moon and Jupiter. Each performed brilliantly. The Orion is not an ED, but its 4 lens elements produce very sharp views with very minimal false color. The AT scope with its FPL-53 glass has no false color that I can detect.In both, lunar details really popped. 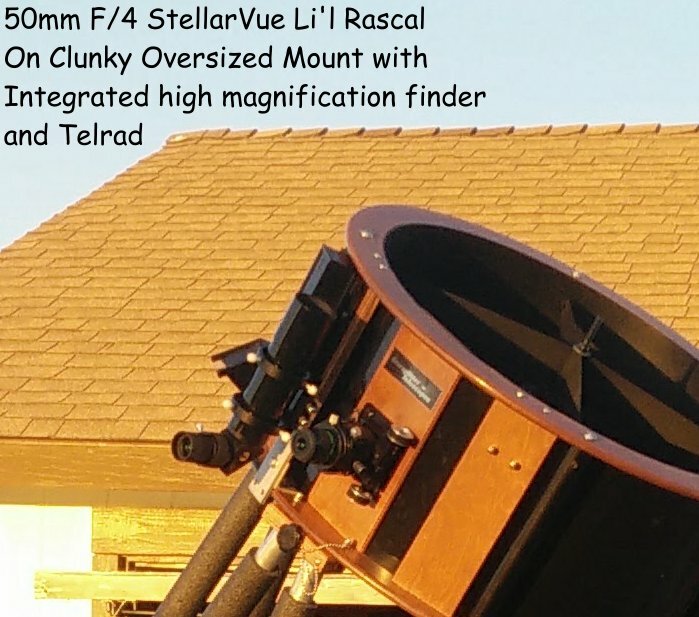 A quality small refractor really does punch above its weight. With its 520 mm focal length, the Orion might be preferred for planetary viewing over the AT with its 320 mm FL. Conversely, the AT might be preferred for low-magnification views of big clusters like M7 and the Pleiades and sweeping star clouds. Which to pack? Shoot, I will just do with fewer changes of socks and underwear and pack both! 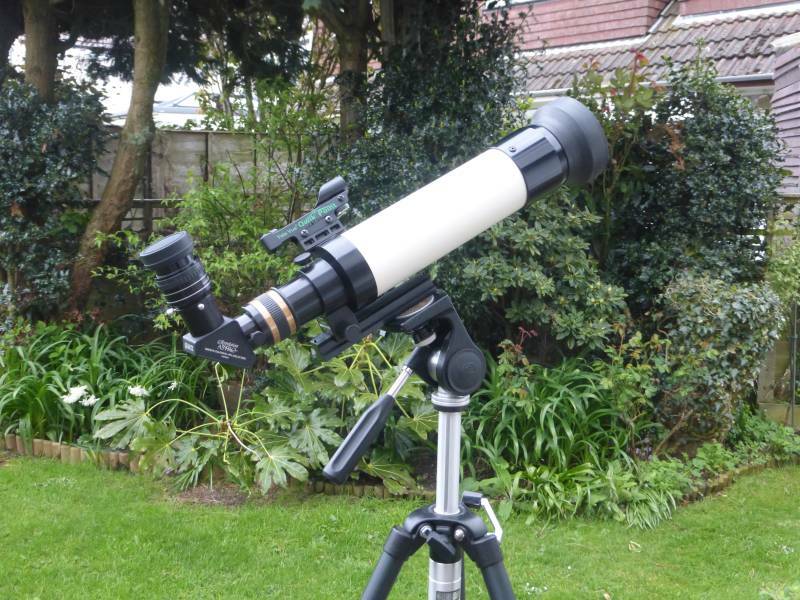 I had both of my 60mm travel scopes out last night, the AT60ED and the Orion StarBlast 62mm (I am sure that I do not have to explain to readers of this forum why I have more small travel scopes than I strictly need). But you mention only TWO travel scopes. Does that really qualify as "more than I strictly need"?!  In this forum? Absolutely not. Two scopes is just getting warmed up. There are just so many ways to travel , walking, biking, the bus, a car , a truck, an airplane, not to mention by boat . One needs a telescope optimized for each type of travel. .
Small scopes are just so convenient and I often times am happy to just scan the sky and take in a rich field more so than trying to study a single object. I think the relationships between structures is interesting enough that I'm happy with a single eyepiece on a wide small refractor. I generally use my ST80 with a 38mm 70* 2" eyepiece for that gnarly >6 degree FOV. I'm thinking of going smaller though. Considering an AT60ED or a WO61 and letting it camp on my Twilight Nano.